CLA is more than just a fat burner? 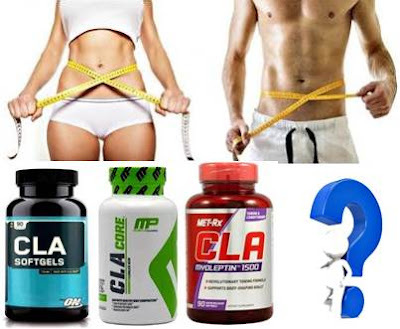 Does CLA helps to burn fat and improve your performance during your workout routine? The results of some studies show that CLA (Conjugated Linoleic Acid) could help improve performance in resistance exercises, but as for weight loss or fat burning, CLA consumption did not show significant differences between the period before and after the intervention ... that is, there was a reduction in the levels of body fat but very minimal ... continue reading because below I will say more about this. This dietary supplement does not help you to lose weight or burn fat, at least not unless you workout really hard and even so the fat burning will be very minimal. Does CLA help burn abdominal fat? Before proceeding with the analysis of the CLA study, I would like to mention that it is not possible to burn localized fat through the intake of supplements and / or foods. Not even training super hard ar certain parte or our bodies. The only way to eliminate localized fat is to undergo cosmetic surgery... When to take CLA? It depends on every brand, but usually is recommended to take it with a meal 1 to 3 times a day depending on how much CLA every softgel contains, and the level of training of every person. The study I will mention below has as main objective to observe the effect of CLA on sports performance ... but also the changes in body composition (level of muscle mass and level of body fat) in the subjects (students Athletes) evaluated. 1. STUDY TITLE: Effect of the intake of conjugated linoleic acid (CLA) on performance in resistance exercises and as an anti-fatigue supplement in student Athletes. Ten healthy male students from Kanazawa University belonging to University Sports Clubs (Baseball, Volleyball and Swimming) participated in this study. Before the experimental stage of the study, each participant was asked to perform cycles with increasing intensity in a cycle ergometer according to their volitional capacities until reaching the degree of fatigue, in order to determine the peak VO2 ... their level of lean mass Muscle and body fat was also measured in this pre-experimental period. In addition, the subjects answered a questionnaire about how often they consumed food to check for nutrient intake. Participants were divided in two groups and underwent 14 days of training. Participants in one group took 1.8 g CLA each day and the other group took a placebo. The ratio of each pill was after the dinner of each day ... of course the placebo group was NEVER told that they took a placebo. On days 0 and 14, after ingesting the test food, participants were asked to be at the laboratory 45 min before the start of the exercise routine. They were questioned about their physical condition according to an interview sheet. They rested quietly in a sitting position for 30 minutes ... then, 10 minutes before starting the warm-up, their lean mass and body fat levels were measured. After a 5-minute warm-up with a fixed workload of 40 W in cycle ergometer they started to increase the intensity to a pedaling frequency of 50-60 rpm and with a workload corresponding to 50% of peak VO2 for 40 min ... Then, the workload increased to a level corresponding to 70% of the peak VO2 and continued pedaling until exhaustion. Their exhaustion was set to the inability to maintain 50 rpm of pedaling. After each exercise session, their heart rate, systolic and diastolic blood pressure were measured while seated. During exercise (0, 15, 30 and 40 minutes after onset of exercise) and exhaustion, the perception rate (RPE) was examined using the Borg scale. A blood sample was taken 10 minutes before the start of warm-up and after the exercise session. Each blood sample (2 mL in an EDTA tube and 7 mL in a flat tube) was taken from the antecubital vein. The following aspects were determined: Hematologic value and serum creatine phosphokinase (CK), Glucose, Triglycerides (TG), non-esterified fats (NEFA), and isozymes of lactate dehydrogenase. These analyzes were performed by LSI Medience Corporation (Tokyo, Japan). Participants were divided into two groups, with no significant differences in age, height, body weight, percentage of body fat, peak VO2. The food intake test rate for 14 days also did not show significant differences between the two groups. The amount of variation from exercise time to fatigue in the group consuming CLA increased substantially (149 ± 102 sec), whereas in the placebo group decreased (-30 ± 172 sec), which shows a significant difference. As for body weight, the amount of body weight variation (subtracting the value of day 0 from that of day 14) in the group that consumed CLA was 0.650 ± 1.04 kg, increased significantly compared to the value of Group that consumed the placebo of -0.430 ± 0.809 kg. On the other hand, the amount of body fat percentage decreased in both groups: in the CLA group, -0.220 ± 1.05% and in the placebo group -0.350 ± 0.916%. There were no significant differences between the two groups in terms of burning body fat. - In both groups there was increase of muscle mass and reduction of body fat ... but there was no significant difference between the reduction of body fat between the group that consumed the CLA and the group that consumed the placebo ... for this reason we could conclude that CLA does not help burn more fat than the body needs to burn ... or at least this happens in trained athletes. - Perhaps in people with lower level of training the changes could be more notorious for obvious reasons ... as long as the intervention (the training time and the consumption of CLA) undergo for more time. - You are obviously is free to try out how CLA makes you feel ... especially since it has been shown to help improve athletic performance and may also influence lean muscle mass gaining. Naoko T. et al. (2017). Effect of Conjugated Linoleic Acid Intake on Endurance Exercise Performance and Anti-fatigue in Student Athletes.